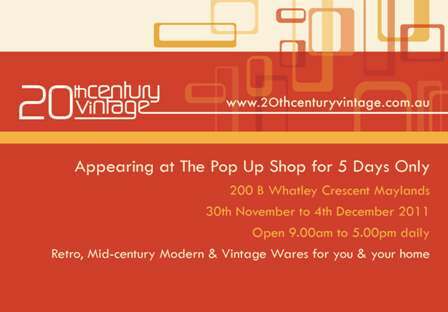 20th Century Vintage is very excited to announce their appearance at The Pop Up Shop along with other vintage sellers - Pack Rat Vintage Goods, Pink Flannel & Material Girl. 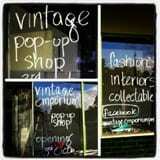 The Pop Up Shop is in the bustling hub of the revamped Maylands area at 200B Whatley Crescent, Maylands. 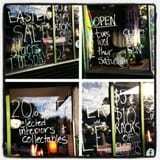 So lots of other stores to check out as well as grabing a coffee at one of the many cafes on the strip. 20th Century Vintage will once again be a stallholder at WA's biggest and best Antique & Collector's Fair at the Claremont Showgrounds, Graylands Road, Claremont. The Fair is open between 9.30am and 4.30pm each day from Friday 18th November 2011 to Sunday 20th November 2011. As always, I will have a great variety of my vintage and retro wares, including a great range of mid century modern pieces from the 50's, 60's, 70's & 80's. These will include a variety of glassware, ceramics, homewares, art, textiles, jewellery, scarves and handbags. Mt Lawley is a great vibrant area and on the first Saturday of each month it comes even more alive with the We Heart Vintage Monthly Market. The market takes place at the very well known hang out of The Flying Scotsman, in the back bar called the Velvet Lounge. Whilst the Velvet Lounge gets filled with a fantastic range of vintage clothing sellers, you'll find 20th Century Vintage outside under the verandah.